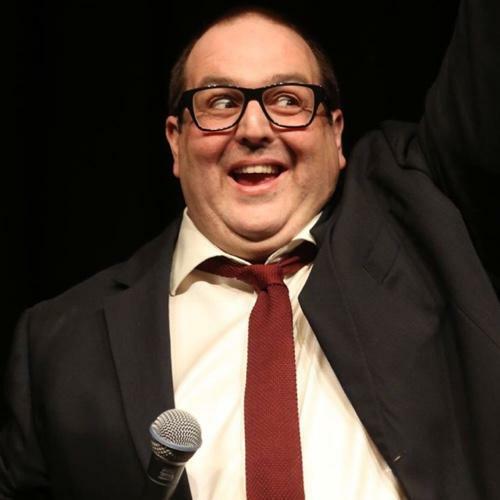 Sometimes it seems that the comedy world decamps en masse to Edinburgh in summertime, and Justin Moorhouse is no exception. And while the East Manchester born and bred salesman turned stand-up comic and actor might not be partaking in any of the liquid encouragement that seems to go hand in hand with the Fringe, that doesn’t seem to bother him. At the risk of conforming to stereotypes, surely it’s not easy to remain sober in Edinburgh in August? “Well, not really, but it gives you a different perspective, being clear-headed in a town full of fuzzy-headed people! “I kind of figured that if I’m doing the show and getting ready for the tour, I’d do it with a clear head. Justin, whose Destiny Calling show is at Edinburgh’s Gilded Ballon until Sunday, August 30, must be a Fringe veteran by now. Judging by a recent @justinmoorhouse tweet, it appears that you get to do stuff like shout at celebrity friends – in his case Richard Osman, of Pointless fame – across busy streets. Even if Richard did ignore him. He must be easy enough to spot in a crowd, with his 6ft 7ins frame. So go on then, your show title, Destiny Calling – what’s all that about then? “When I do my shows, they have kind of a loose theme, but I suppose this one is a snapshot of where I am in my life. “The other big news is I’ve had my hip replaced, and I’m quite young for that. That makes you think this is the future – this is what’s going to happen from now, in and out of hospitals. Well, our part of the world was a pioneer for those hip replacements, so perhaps we should take advantage. So where did you have yours done? Did you get a free hip flask to go with it? Only that would be a shame if you’re steering clear of alcohol. After Edinburgh, Justin will be taking his new hip and new show out on the road, starting on September 8 at The Borough in Lancaster. Has he played there before? “I’ve done that venue a few times. It’s a great comedy club, every Sunday, a great room in a great pub with great food – what could be better? Also on the list is Blackburn’s Thwaites Empire Theatre on October 10. 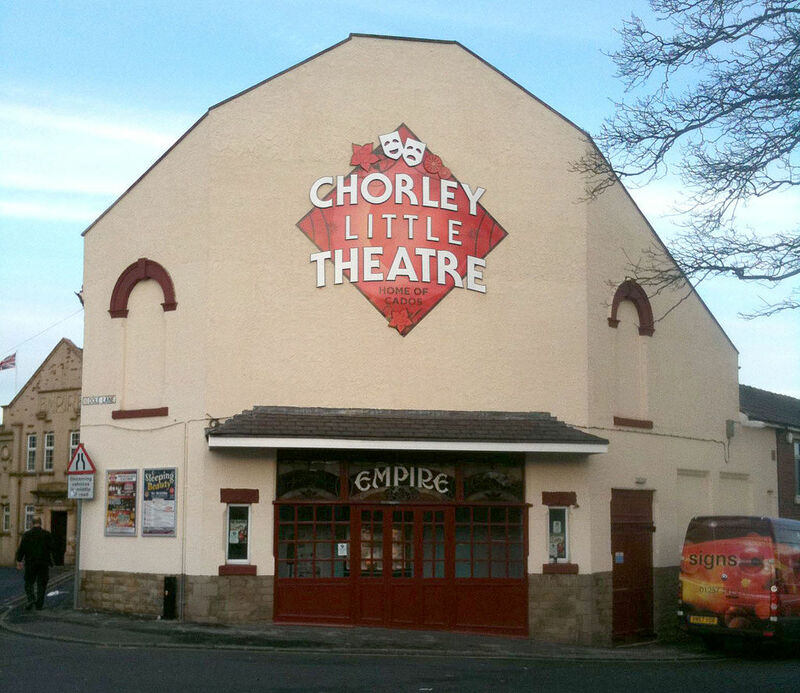 Then there’s Chorley Little Theatre on November 22, another venue you’ve played before and gone down well. “Oh, it’s incredible. What they’ve done to that place is fantastic. They’ve really latched on to the touring comedy, and sell it really well. I spoke to someone from the venue about your last appearance, and he told me there was a woman on the front row who maybe had one too many drinks, and you couldn’t work out if it was the best night of your career or the worst. That clearly still lurks in Justin’s memory, but all he says is, “Yeah … yeah!” like a comedy version of fellow Lancashire lad Georgie Fame. Justin’s tour goes right through to December 11 at Bury Met. That’s quite an undertaking, but I guess he’s used to all that now. It mentions on Justin’s latest press release that he’s killed three animals unintentionally. This isn’t going to be a Cecil the Lion type confession is it? You didn’t lure something off a reserve in Manchester then? Justin Live: Mr Moorhouse at the mic. I’m pleased to hear that. That same press release also mentions he’s started to dress like a toddler. Is this all part of his mid-life crisis, hitting 45 and matching his waist measurement? “It could well be. Come and find out, but there is a certain look on tour I’ve gone for that I’m trying to spread, getting more people to dress that way. More randomly, I see Justin’s left-handed, like me. Are there many more in the comedy world? “I think there are in the creative world. I believe 10 per cent of us are sinister. I think that’s the right word, isn’t it? Justin recently reprised the role that helped float his career, returning as Young Kenny in a record-breaking run – 15 shows in total – of Phoenix Nights Live at the Manchester Arena. In the end they raised more than £5m for Comic Relief, Justin appearing alongside the likes of Peter Kay, co-writer Dave Spikey and Paddy McGuinness. “Yeah. Five million! That was incredible! It was great, a lovely time, with packed houses, and everyone loving it. Was it good to be back with a few old mates too? 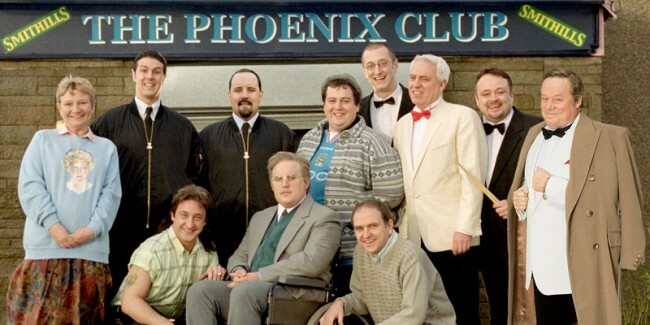 Or do you keep in regular contact with a few of the Phoenix Nights crew anyway? 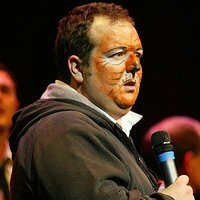 At that point, I let on to Justin that I revisited one of his best-known Phoenix Nights moments recently, explaining the face-painting scene to my eldest daughter after she took part in a youth theatre production which involved a major make-up operation. You probably know the scene, a spray-can wielding friend of the Phoenix Club giving Young Kenny a tiger face he’s then unable to remove after the club’s inappropriate kids’ fun-day. And it clearly remains an issue with Justin. “Do you know, if I go somewhere with my daughter and she wants her face painted, I can’t be the one who takes her! It’s really weird! “Can you imagine it? ‘What do you want to look like?’ ‘Oh, like my Dad please!’ I’ve seen it before, face-painting at fairs, where people have actually had pictures of me“. I take it you’re not still struggling to scrub it off, after all these years. Justin’s been on our TV screens a lot since, for BBC1’s Live at the Apollo and Michael McIntyre’s Comedy Roadshow, as well as Comedy Central’s The Comedy Store and Dave’s Dave’s One Night Stand. 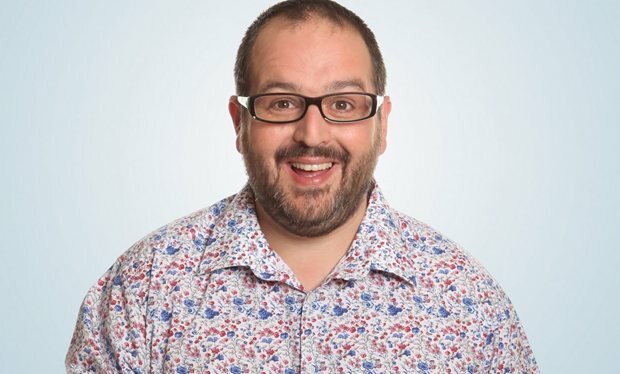 His other TV work has included parts in Shameless and Phoenix Nights spin-off Max & Paddy’s Road to Nowhere, while Justin appeared on Coronation Street in 2011 as a character delivering a car to Sally Webster, a present from estranged hubbie Kevin. Then last August he was back, this time as Flying Horse landlord Dean Upton. So was that another dream-come-true? “Yeah – it was literally like stepping into the telly! That’s what it feels like, like doing Just a Minute or The News Quiz is for stepping into the wireless. 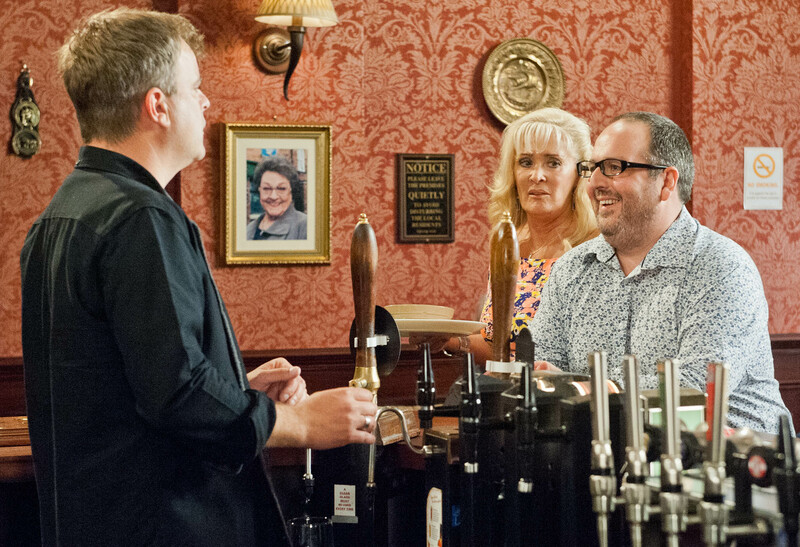 Of course, Corrie and Phoenix Nights have shared many links, with performances on the soap for many Phoenix Club regulars, including Peter Kay, Paddy McGuinness, Janice Connolly and Sally Lindsay. Justin’s also worked on a weekend Key 103 radio show in Manchester with Jennie McAlpine, Fiz from Corrie, and before that he worked with another former Wetherfield star, Anne Reid, during the two series he did of Everyone Quite Likes Justin on BBC Radio 4. “Do you know, she’s done that much that I’d forgotten she was even on Corrie. She’s brilliant, an absolute treasure, and we got her just before Last Tango in Halifax took off. Will there be a reprise of that show or other radio work? I thought I had an exclusive there. Are you doing a Carry On? Justin has also seen success as the 2014/15 champion of champions on Radio 5 Live’s Fighting Talk, and – back on the TV – a Celebrity Mastermind win, with Les Dawson as his specialist subject. Was Les his comedy hero? 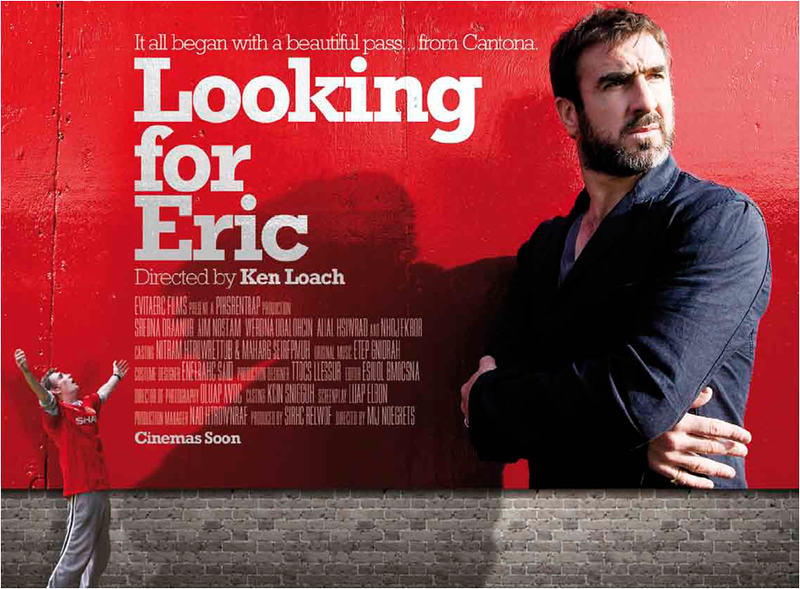 Film and football fans may also recall Justin’s role as Spleen in Ken Loach’s Manchester-based 2009 cult classic Looking for Eric. In fact, you might not realise that despite Young Kenny being a City fan, Justin is clearly a Red Devil, and there’s no doubting that Eric Cantona is his sporting hero. So does the enigmatic Frenchman keep in touch? That’ll be good. Actually, I heard he was swimming across the English Channel, according to those latest adverts for a certain French lager. Furthermore, Justin recently teamed up with writer Jim Poyser, whose credits include Shameless, to launch TV production company Working Men’s Productions, based at Salford’s Media City. All in all, it’s fair to say it’s going pretty well for Justin. So was working in sales the perfect way to get into comedy? 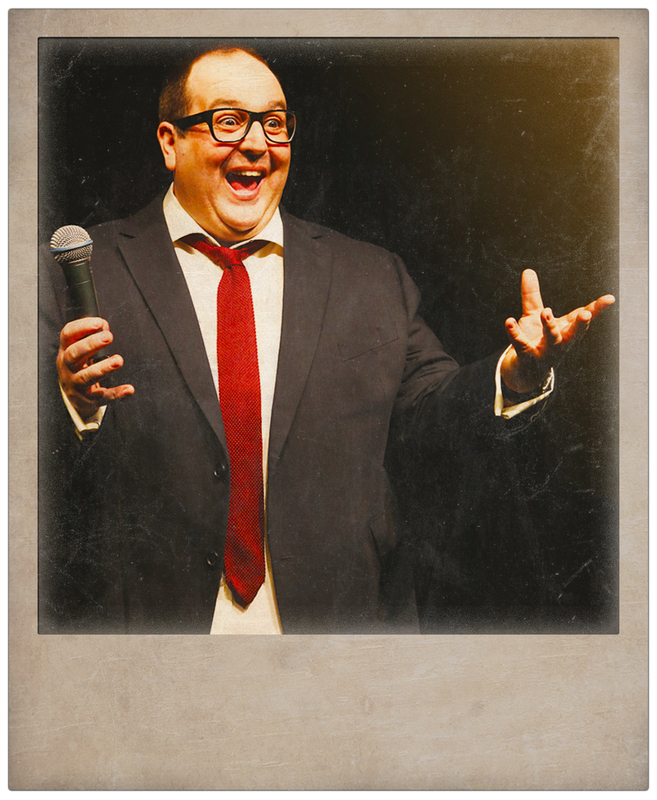 For full details of Justin Moorhouse’s Destiny Calling tour, head to his official website. This entry was posted in Books Films, TV & Radio, Comedy & Theatre and tagged Anne Reid, Chorley Little Theatre, Comic Relief, Dave Spikey, Destiny Calling, Edinburgh Fringe, Eric Cantona, Jennie McAlpine, Justin Moorhouse, Les Dawson, Looking for Eric, Manchester, Peter Kay, Phoenix Nights, Richard Osman. Bookmark the permalink.